Diana is certified as a Health Coach by The Institute for Integrative Nutrition (currently the largest nutrition school in the world), The American Council on Exercise, and will graduate from The Functional Medicine Health Coaching Academy in August 2018. She is also an ACE Certified Behavioral Change Specialist, ACE Certified Medical Exercise Specialist, Board Certified Holistic Psychology Master, Reiki Master, and Licensed Spiritual Healer. She creatively and effectively uses these modalities along with all else she is credentialed in to help her clients individually find the best course to their healthiest, most joyful self. Health Coaching is becoming an almost main-stream way to make permanent lifestyle changes and to help educate the masses that have not been taught about their own body’s needs or all that goes into creating a healthy life. Making changes in life patterns that have been practiced for many years takes time, education, support, encouragement, and patience. Working with a Health Coach like Diana is a highly effective way to stop “yo-yo dieting” and wasting money on fads that do not work or last… and sometimes leave individuals in a more debilitating, unhealthy state than when they began. Diana has worked with thousands of clients in numerous modalities throughout her 26 years as a wellness professional. Her education, skills, patience, and experience set her apart! Let Diana help you accomplish your intentions for becoming the healthiest, most joyful, and most vibrant “you” that you can imagine! Schedule an appointment at her studio, www.essencembs.com, sign up for her 5-month long Essence of Wellness Health Coaching Program through her studio (see below for details), or set up private sessions via Zoom. This is a 5-month-long integrative, functional, and all-inclusive health coaching program… from your own home or anywhere you are! Choose from 4 one-hour Zoom conference calls per month. Join all 4 live or the ones you can make and then listen to the recordings of those you can not afterward. Conference calls will be on Tuesdays during the day, Thursday evenings, Saturdays, and/or Sundays. There will be 4 calls per month and each will last 1.5 hours. Diana will send out the syllabus for each month in advance to show what will be covered in each session. You do not need to make each call… but making at least 2 per month is recommended. Have access to the ‘Essence of Wellness’ private Facebook group to receive lots of great information, support, recipes, and much more. Use Diana’s new (and AMAZING) software to track your health and wellness throughout your entire life like you never have had the opportunity to before! Receive detailed guidance on so many aspects as of your health. Please see Diana’s array of credentials on her web site to see all the background she has to assist her clients on their journey. Soon she will also be able to also assist anyone on getting detailed diagnostic testing for nutritional and hormonal issues. Learn how to find out how to discover and use your own personal strengths to assist in caring for your health and wellness. Join a community specifically focused on improving health and wellbeing and begin to feel empowered to make life-style, nutrition, exercise, and many more life adjustments that you find might help you live a healthier, happier journey. 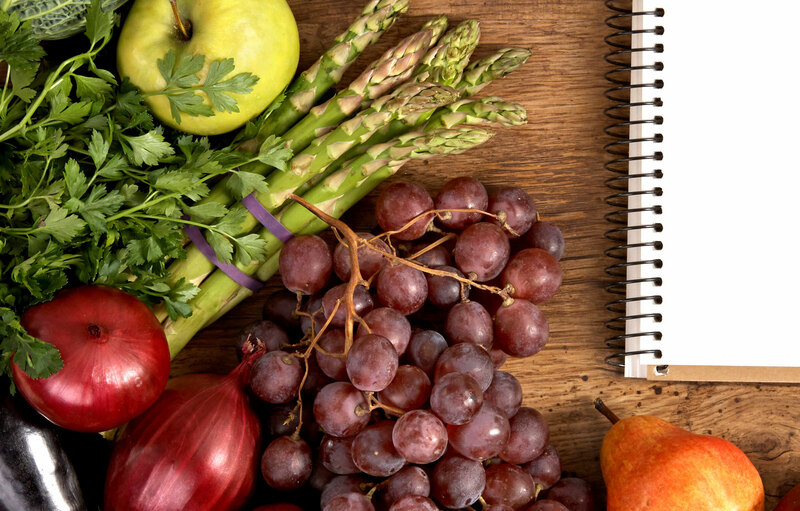 Learn all about nutrition and gather shopping advice, recipes, and get help with figuring out which foods work for you and which ones don’t…while still keeping balance. Diana will offer shopping outings and cooking demos which will all be recorded for those in the program. Acquire a more balanced body composition and energy reserve that leaves you feeling strong, allows you to sleep well, aids in stress management, and assists in living a life of joy. Learn all kinds of holistic healing modalities with Diana and how to use them in your daily life. Receive 1 personal 1 hour coaching session and 2 ½ hour sessions with Diana throughout the 5 month period as part of your upfront cost. Receive discounts on her YEP group sessions at her studio as an active participant of the “essence of wellness” health coaching program. Receive a free Kirlian scan (Scientific aura reading) during your 5 month program. If you are joining the coaching program from afar, Diana will send you a crystal and essential oil set specific to your needs after meeting with Diana by a private zoom conference. The first month will begin in May 2018 and the last month will be in September. After that, if you’d like to continue, she will offer her clients to continue at a discounted price in 3 month increments. This way, you can decide to stay in a supportive, educational group to continue your journey. $650 which includes: all zoom calls with immense amounts of information, private coaching sessions with Diana, Kirlian scan or distance Aura healing package designed by Diana, a detailed booklet of health history information, access to the FB community of information and support, and a $10 discount per YEP workshop with Diana. Login to the online registration system at essencembs.com to get signed up! After Diana’s health coaching, my health has finally taken a turn for the better. In fifth grade, I was diagnosed with Chron’s disease, which is a chronic inflammatory bowel disease that affects the lining of the digestive tract. Most of my years was spent in remission, with a few minor flare ups here and there. Medication and infusions have always been a part of my life. A little over two years ago, I faced another flare up, but this time, medication and infusions weren’t working to diminish the symptoms. I have always disliked medication and knew I could control this holistically. I was always told by my doctors (and I have had many over the years) that there is no “one diet fits all” approach for someone with Chron’s disease; what works for one individual may not work for another. I was tired of hearing that medicine was the only answer. I tried to conquer this myself by eliminating gluten for 30 days (little relief), completed the Whole30 program (again, little relief) and have not consumed meat in five months (more relief, but still symptomatic). I felt pretty defeated. The Most Difficult Body Part to Train is the Brain… It Has a Mind of it’s Own!